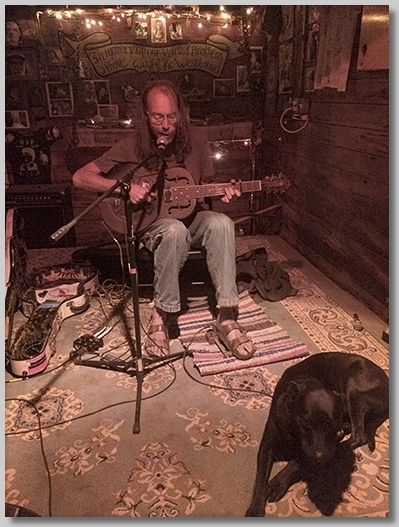 Minnesota-based folk blues legend Charlie Parr came to Black Butte for the first time in July as part of a west coast tour. He was very well received, people wanting to see him play in a boxcar came from as far away as the Bay Area and Portland. 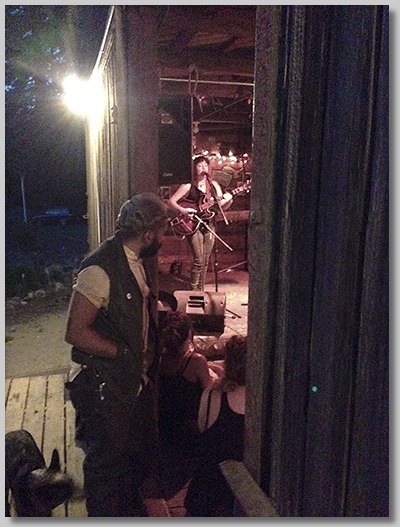 Dawn Riding (aka Sarah Rose), a Bay Area based friend of the BBCRC, opened for Charlie Parr. 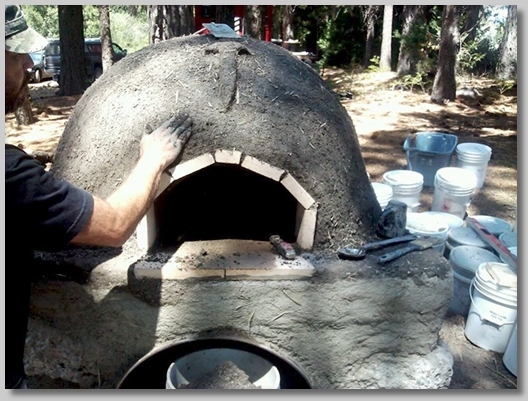 At the Fall Work Party, we continued on the construction of our wood-fired pizza/bread oven. 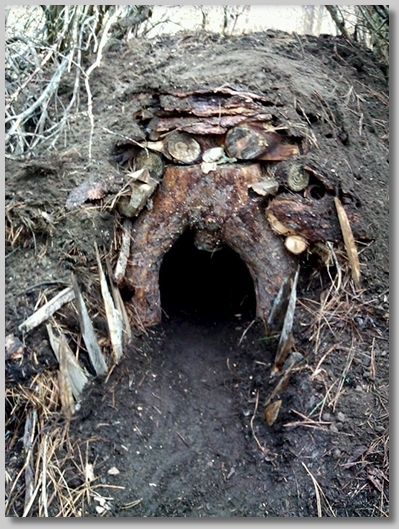 As part of the Fall Work Party, we had an art show opening/art hike to view the "Pest Habitats" that Lance has constructed around the land at Black Butte. 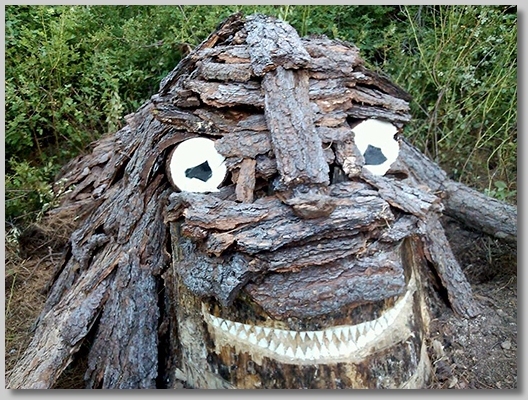 The artistic structures provide shelter/homes for wildlife and are already seeing use by many critters. This habitat is located right near our garden and the pond. The day after our Fall Work Party, on a dry and windy day, a devastating fire struck our local community of Weed. 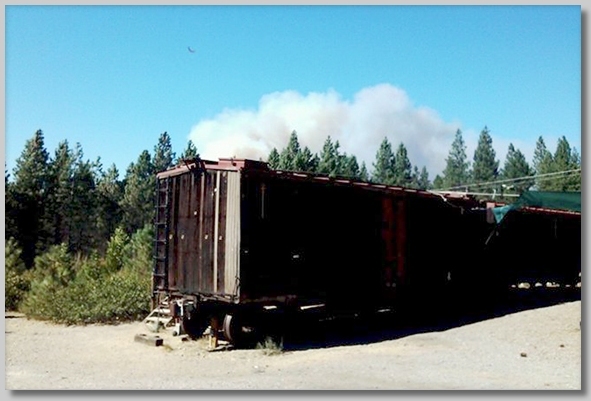 While the fire started almost two miles from us, the smoke was visible from the BBCRC and enough to give us a scare. Over 150 structures — homes and local institutions such as the town's library and food bank — were lost in the fire.